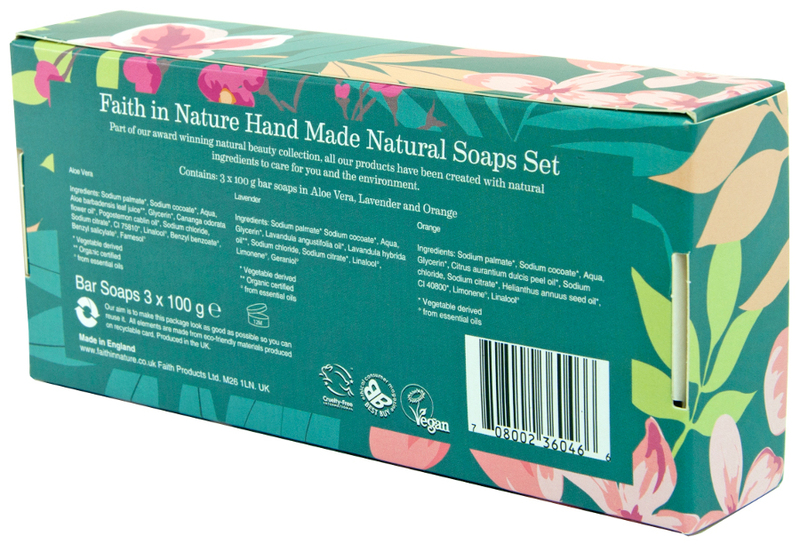 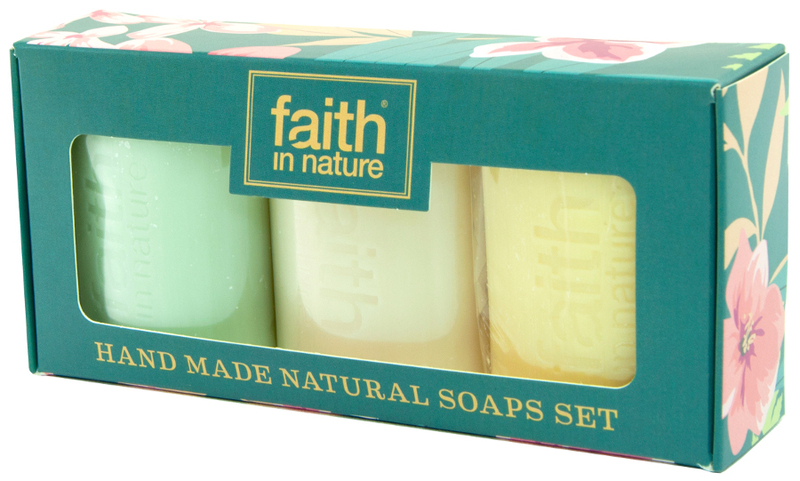 Natural, organic soaps from Faith in Nature, handmade in the UK using vegetable oil and natural fragrances. 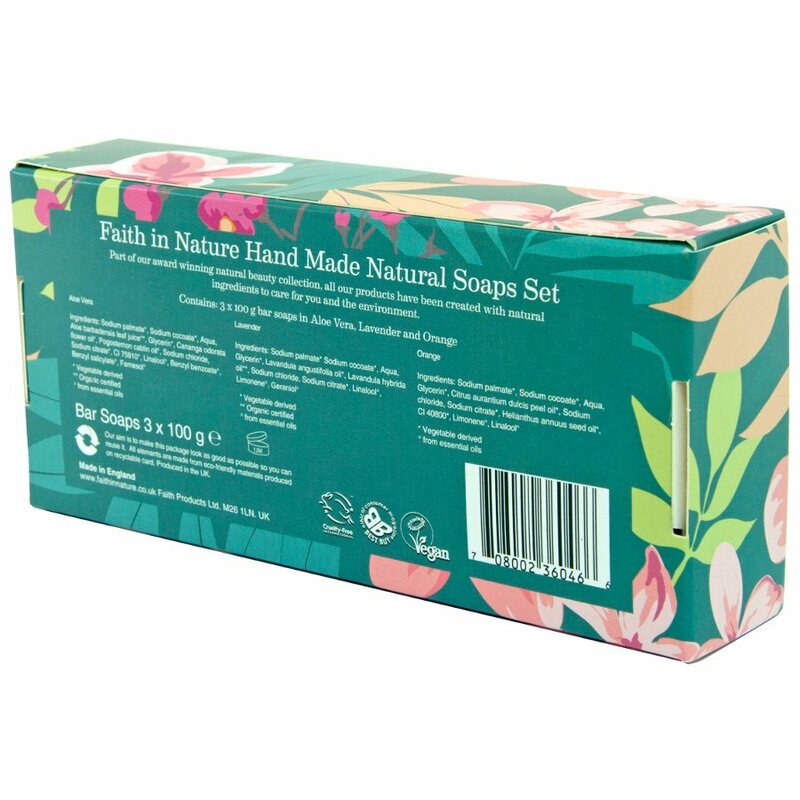 The gift set contains three 100g bars of soap, including Orange, Lavender and Aloe Vera, with each bar free from artificial fragrances, preservatives or colours along with being certified cruelty free and vegan. 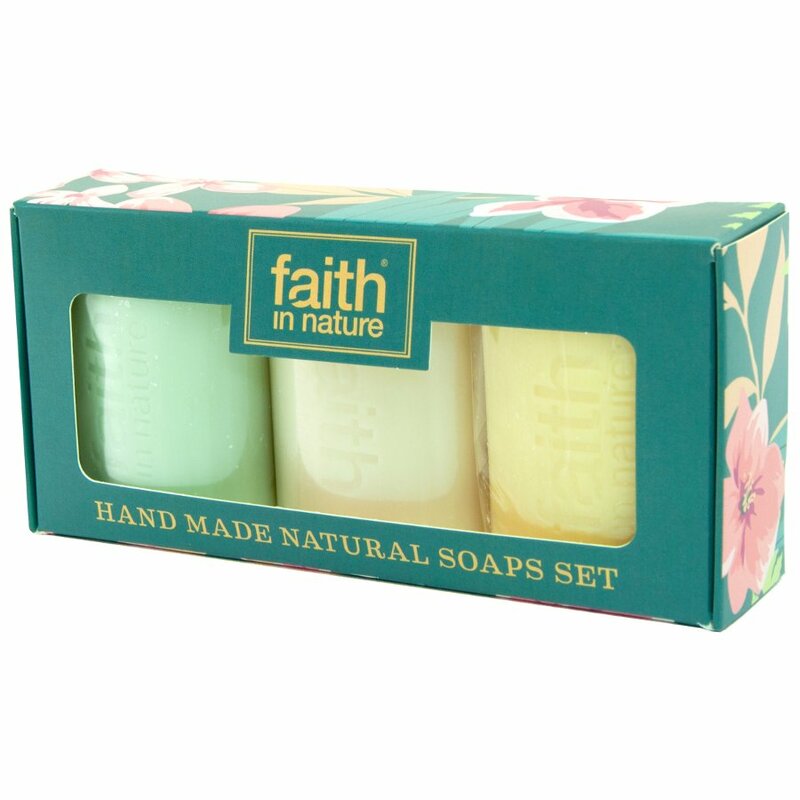 There are currently no questions to display about Faith in Nature Handmade Soap Gift Set.